360 Video on a Budget? 360 videos are the rage nowadays. Not only are they innovative, but are also fun to create. Once created, you can post them on sites such as YouTube or Facebook and show your goofy or creative side to your friends. A 360 video is a panoramic video which allows you to look in all directions of the scene at the same time. In other words, it is a video which shows you 360 degrees of a scene simultaneously. There are a number of cameras in the market which are specifically aimed at creating 360 videos. Big players such as Nikon, GoPro, and Samsung have made these cameras available but have also priced them on the higher side. This is because regular videos rendered into 360 are of low quality and 360 videos operate on a higher bandwidth than regular videos. But not everyone can afford to own such high-end equipment, especially if it isn’t being used professionally. So are 360 videos a lost cause for those who cannot buy expensive equipment? No really. There are a number of cheaper cameras under $1000 which serve the purpose aptly. Take a look at a few of these and their prices. The list of budget cameras for 360 videos is endless. When you are buying one ensure you check the video resolution because a really cheap camera may not provide you the quality you want. The best part of these cameras, apart from their affordability, is the ease of use. They work like ordinary cameras yet give you a better resolution and generate the desired 360-degree effect. After shooting your video, it has to be edited. Editing is necessary to remove noise and ensure the flow of your video is smooth. One of the popular software for editing 360 videos is Kolor Autopano Video software which works well on Windows and Mac computers. Videostitch and LiveSphere are also available for stitching your videos. Mind you, these do not come cheap and unless you are working on a professional video or getting paid to make these videos it is best to shoot and upload videos as they are. There are, of course, trial versions which can be used but they have their own limitations. With the options discussed here, you too can join the bandwagon and create memorable videos which can be shared among your family and friends or promote your brand or cause. 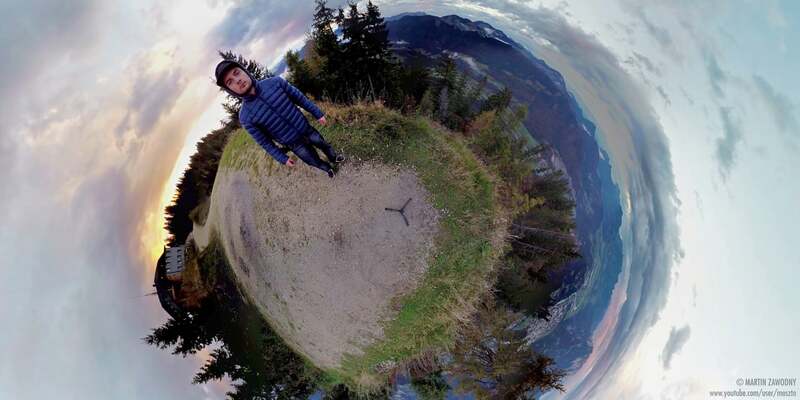 The concept of 360 videos is fairly new but it is catching up quite quickly.